BSEB Bihar Board Result 2019: The Bihar Board result 2019 for Class 10th and 12th has been declared. After the declaration of BSEB Intermediate Result 2019 for Class 12 students, students had anticipated that Bihar 10th Result 2019 also might be declared earlier than its usual date. Staying true to the expectations of the students, the Bihar Board Class 10 result 2019 has been on 6th April 2019 - Satruday. The Bihar School Education Board has declared the BSEB Bihar Board 10th result 2019 on its official website biharboardonline.bihar.gov.in. 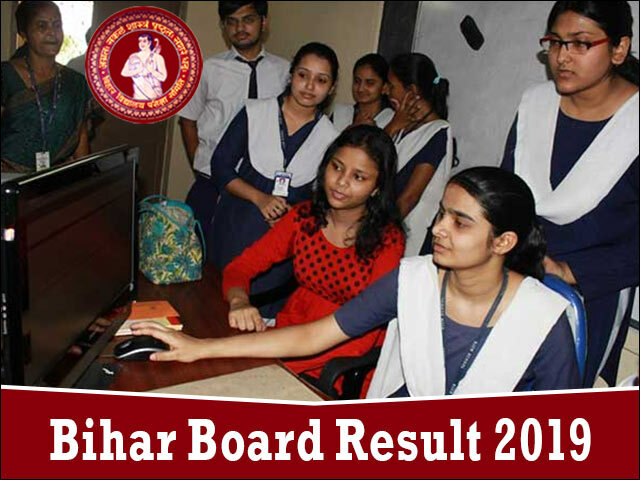 For the latest news and information about Bihar Board Result 2019, students­­ are advised to bookmark this page and visit it regularly to updates regularly. Our team at JagranJosh will also be providing regular updates and news regarding BSEB Result 2019 on this page. To get all the latest updates and news regarding the BSEB 10th Result 2019 and Bihar Board 12th Result 2019, students can bookmark this page and visit it regularly. Alternatively, the Bihar Board Result updates will also be available through Email. You can submit your email id and mobile number on this page to start receiving these updates. The BSEB has declared the Bihar Board result 2019 within record time this year, earlier than any other Board. BSEB Matric result has been declared on 6th April 2019. Bihar Board 12th Result 2019 was announced earlier on 30th May 2019 at 2:30 PM. One of the best ways to relieve pressure prior to the declaration of BSEB Matric Result 2019 and Bihar Board Intermediate Result 2019 is by looking at the performance of students in last year’s exam. The facts and figures from last year’s BSEB Board Exam helps students to understand the competition and build expectations that are achievable. Keeping this in mind, we have provided the last year’s Board Exam Result statistics below. Where to check BSEB Matric Result 2019 and Bihar Intermediate Result 2019? As per the general practice, the Bihar 10th Result 2019 and BSEB Intermediate Result 2019 is first made available on the official website of the Bihar board i.e., www.biharboard.ac.in. However, due to the large number of students trying to check their results at the same time, one might experience slow website response or even technical problems on the official website. This may delay the checking process of Bihar Board 10th Result and BSEB 12th Result 2019. Addressing this concern, Jagranjosh.com would be providing the direct link to check the BSEB Matric Result 2019 and Bihar Intermediate Result 2019 on our website. The website has been developed keeping in mind the concerns of the students and to facilitate the checking of BSEB Results in a quick and easy manner. You can know more about the simple checking process for Bihar Board Result 2019 below. While checking the Bihar Board Result 2019 students experience turmoil of emotions ranging from nervousness and anxiety to excitement. In this emotional turmoil, students often get confused regarding the checking process for Bihar Matric Result 2019 and Bihar 12th Result 2019. To help them out, we have given a step-by-step process for checking the Bihar Board Results. By following these simple and easy steps, students will be able to check their BSEB Result 2019 very easily. Once you are done with checking either your BSEB 10th Result 2019 or Bihar 12th Result 2019, you will also be provided with the option to download a softcopy / PDF copy of the scorecard. Alternatively, students can also choose to maintain physical copies of Bihar Board Result 2019 by taking a printout from the website. These downloaded / printed copies of BSEB Matric Result 2019 and BSEB Intermediate Result 2019 can be used as provisional results until the official marksheets are issued by the board. However, students must remember to collect the original mark sheet issued by the BSEB from their respective schools in the coming weeks. Another aspect that students must not after the declaration of BSEB Matric Result 2019 and Bihar Intermediate Result 2019 is regarding rechecking / re-evaluation of results. If you are unsatisfied with the current BSEB Result 2019, you can apply for rechecking of answer sheets by paying a nominal fee. The detailed procedure for this can be found from the official board website. After the declaration of Bihar Board Results 2019 for Class 10 and Class 12 students, the BSEB will announce the detailed schedule for the Compartmental Exam and also confirm the dates for BSEB Board Compartmental Result dates. The Bihar Board Compartmental Result 2019 will give another chance to the students who have either failed or haven’t scored as well as they expected to in the Board Examination. By conducting the Bihar Board Compartmental Exam and releasing the BSEB Compartmental Result in June – July months, the Board allow students to improve their exam score without wasting an entire year. The exact details about BSEB Board Compartmental Exam and the Bihar Board Compartmental Exam Result will be notified soon after the declaration of Results. Students can also contact their respective schools in order to get more information about it. The Bihar School Examination Board is popularly known by its acronym i.e. BSEB. The BSEB is the primary agency entrusted with the task of holding and conducting board examinations at secondary and higher secondary school levels. As per the general trend, the board conducts the annual matric exam for class 10 students and the intermediate exam for class 12 students in the months of February and March. In addition to the annual board exams, BSEB also conducts the Diploma in Physical Education, Certificate in Physical Education and Teachers Training Examination as per government norms. BSEB Bihar Board has released the Bihar Board 12th Admit Card 2019 for the intermediate exam. School administrators will be able to download BSEB Intermediate Admit Card at bsebregistration.com/exam. The Bihar School Examination Board (BSEB) has released the examination dates for Matric (Class 10) and Intermediate (Class 12) examination. The Bihar School Examination Board on Friday extended the last day of registration for the Class 10th and 12th board examination 2019. The deadline of the registration ends today. The students can now fill the BSEB Class 10th and Class 12th exam forms with the late fee till October 8 on the official website portal – biharboard.online. BSEB chairman Anand Kishore said that the step has been taken to avoid technical issues. The BSEB board is giving one more opportunity to students who failed in compartmental examinations. The Bihar School Examination Board, BSEB will declare the result of Class 12th examinations on June 6 on its official website, i.e. biharboard.ac.in. The BSEB is preparing to publish the results of Class 10th and Class 12th examinations by next week on its official website, i.e. biharboard.ac.in. The BSEB is preparing to announce the results of Class 10th and Class 12th examinations by next week on its official website, i.e. biharboard.ac.in. BSEB Result 2018: The Bihar School Examination Board, BSEB most probably planning to declare the results of Matric or Class 10th and Class 12th or Intermediate examinations next week on its official website, i.e. biharboard.ac.in. The Bihar School Examination Board, BSEB is likely to announce the results of Class 10th and Class 12th examinations by next week on its official website, i.e. biharboard.ac.in. The Bihar School Examination Board, BSEB is likely to declare the results of Class 10th and Class 12th examinations by next week on its official website, i.e. biharboard.ac.in. The Bihar School Examination Board, BSEB is likely to announce the results of Matric or Class 10th and Class 12th or Intermediate examinations next week on its official website, i.e. biharboard.ac.in. The Bihar School Examination Board, BSEB are likely planning to announce the results of Matric or Class 10th and Class 12th or Intermediate examinations next week on its official website, i.e. biharboard.ac.in. The Bihar School Examination Board, BSEB is likely to announce the results of Class 10th (Matric) and Class 12th (Intermediate) examinations next week on its official website, i.e. biharboard.ac.in. The Bihar School Examination Board, BSEB is likely to declare the results of Class 10th and Class 12th examinations in the first week of May 2018. The Bihar Board of Open Schooling and Examination also called as BBOSE, has announced the results for the Class 10 (Secondary) and Class 12 (Senior Secondary) Examinations held in the month of December, 2017. The Bihar School Examination Board (BSEB) has introduced a new examination pattern for both Class 10 and Class 12 in 2018.